Happy Wednesdays and – wait, where the heck did the robo-hall monitors take Wally and his goons!?! Something’s fishy here in Heston Heights Middle School, and I bet dollars to doughnuts it has something to do with the mysterious Locker 13! 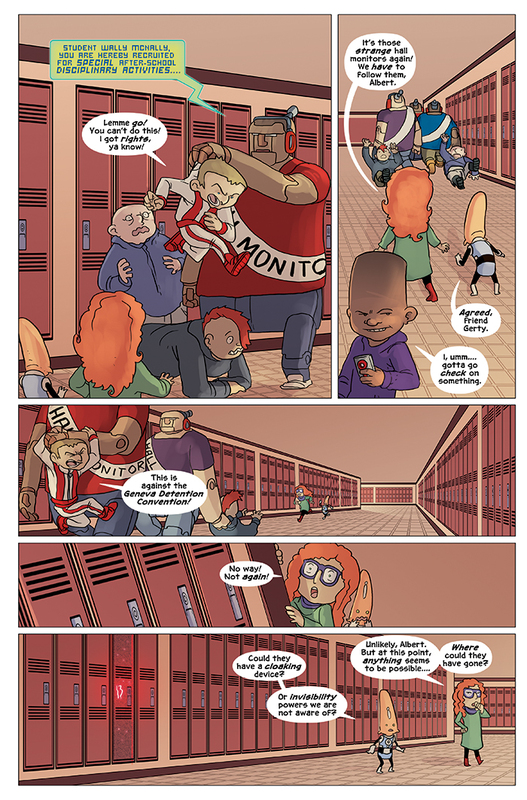 We have robotic hall monitors posing as students, we have stuff going missing from kid’s lockers, we have a cursed locker – so many elements coming together in this chapter! Should be a fun and wild ride! Come back Friday for another thrilling update!